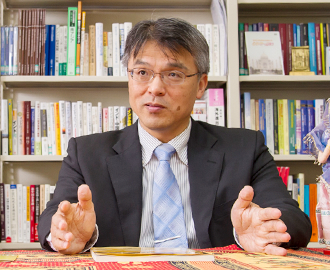 Professor Tomozawa specializes in geography, and his research focuses on geographic research of India in particular. He has travelled to India a total of 21 times. Firstly, let’s explain the academic discipline of geography. Geography is made up of two elements: (1) regional analysis, which investigates the characteristics of a region, and (2) the pursuit of spatial laws, which aims to examine the spatial characteristics of a certain phenomenon. While (1) investigates the formation process and internal structure of specific areas such as villages, cities and industrial regions, (2) researches phenomena such as locations that can be drawn on a map, examining whether or not such phenomena have any common laws or elements. Geography includes the fields of human geography, physical geography and regional geography. 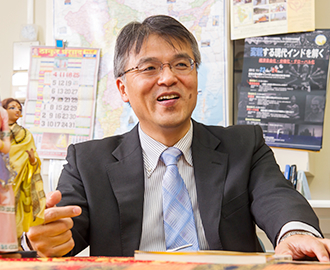 Professor Tomozawa’s area of expertise is human geography. “Recently, I am focusing on the industrialization of India in my research. In particular, I am conducting surveys and research on India’s industrial labor market”. Industrial areas are currently forming in various locations in India and industry is growing significantly. The growth of the automotive industry is especially prominent. Professor Tomozawa says that he is investigating the labor market taking shape as the automotive industry grows. “When you look at the situation closely, you can see that there is an increase in contract-based employment, rather than direct employment. In other words, the placement of temporary personnel. In this way, the labor market is developing a bias toward non-regular employment, and I’m researching how this reality can be explained”, says Professor Tomozawa. He says that first it is important to understand the local situation in terms of statistics. Having done that, in February of this year he held interviews with workers, enabled through cooperation with a local university. In TAOYAKA Program, Professor Tomozawa teaches Geography of Contemporary India, a subject offered in the second semester. The aim of the subject is to have students learn about the content of a compilation of work by Professor Tomozawa, which covers all of modern India. They also aim to acquire specific skills. For this reason, the subject will include practical elements in addition to lecture-based classes. “If students select India as the location of their onsite education, then I want to ensure that they have full knowledge of the current situation in India. In addition, they need to ‘know the information’ ? in other words, where they can access data on population, and what types of information they can obtain, for example. I also want the students to perform various spatial analyses related to population, and get to the stage where they can discuss the results of their analyses in depth” says Professor Tomozawa, expressing his expectations for the students. 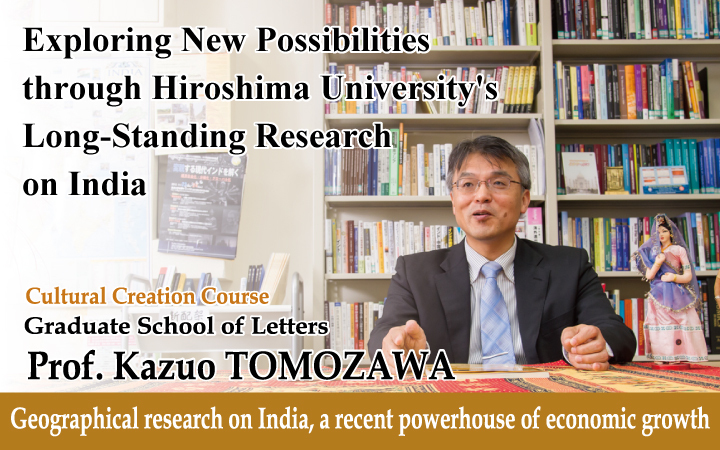 In other words, one could say that Professor Tomozawa’s educational research aims to equip the students with the basic knowledge, understanding, and skill set required to conduct research on India.